Discussion that would have instantly caused anyone involved to be labeled a ‘crazy conspiracy theorist’ even a few weeks ago has now made its way into the mainstream media. Following reports that suspected Navy Yard shooter Aaron Alexis had called police just weeks before the mass shooting in D.C. to claim he was the victim of gangstalking and a target of microwave energy weapons that left him hearing voices and unable to sleep, now reports are surfacing that the military contractor had carved “My ELF Weapon” and “Better off this way” into the stock of his gun. As reported yesterday, the mainstream media painted initial accounts of Alexis’ stalking claims as further proof he was mentally unhinged. With these new weapon carving revelations, the media’s tune has changed. As if its just any other news day, now the likes of The Washington Post and The Washington Times are openly talking about the existence of directed energy weapons, Manchurian Candidates and even ways that ELF, or extremely low frequency waves, can be used in “weather efforts” — a direct reference to the fact that this technology can be used to modify and control the weather. In “Officials: Navy Yard shooter carved odd messages into his gun before carnage,” The Post casually admits, “ELF generally stands for ‘extremely low frequency’ and can refer to weather or communications efforts, among other things.” Weather efforts? Pray tell. The military research project H.A.A.R.P. is mentioned which, among many other interesting and controversial abilities, has the demonstrated ability to modify and control weather, although the line, “HAARP is often cited by conspiracy theorists,” is also tossed in for good measure. 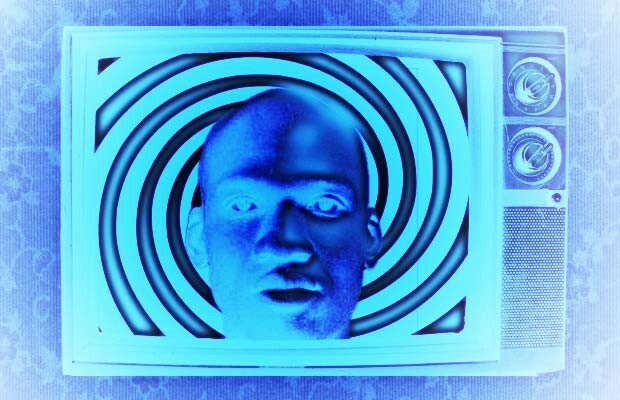 The article goes on to discuss how Alexis sought help for insomnia on Aug. 23 from a VA facility, just weeks after his report to RI police that he was hearing voices through the walls and being attacked with microwave weapons, only this time he claimed his insomnia was work-induced. He returned to a VA emergency room just five days later after his prescription sleeping medication ran out, needing more. This time Alexis was prescribed the antidepressant sleep disorder drug Trazodone, but adding mind-altering synthetic chemicals to an already tenuous situation could not have been helpful. If Alexis was stalked as he previously claimed, he was likely hesitant to tell the medical officials at the VA, considering the officer from the Aug. 7 report had written, “showing signs of some sort of mental deficiency”. Alexis probably realized how crazy his story would sound to someone unfamiliar with directed energy weapons. Support groups for this type of stalking specifically warn people not to mention the technology to law enforcement or medical officials, as they will likely consider anyone who does to have a mental health problems and might commit them to a psychiatric ward. The Post goes on to note that Alexis had been estranged from his family for many years…could that have made him as easier target? Julianne McKinney, former director of the Electronic Surveillance Project at the now defunct Association of National Security Alumni in Silver Springs, Maryland, and who self identifies as U.S. Army intelligence veteran, self-published “Microwave Harassment & Mind-Control Experimentation” in 1992 and “Mind Control and the Secret State” in 2008. Again, these are themes that many who have researched declassified government programs such as MK Ultra are familiar with, but the fact that they are now openly being talked about in the mainstream media is astounding. In an eerily similar tragedy, on May 30, 1991, Carl E. Campbell shot U.S. Navy commander Edward J. Higgins at least five times with a 22-caliber semi-automatic pistol near a bus stop outside of the Pentagon, leaving the U.S.-Soviet arms control expert and 21 year Navy veteran dead. As previously reported, our government has been researching these types of weapons via programs such as the now declassified Project MK Ultra since at least the beginning of the Cold War. Their existence is not a secret, even if the majority of the American people are unaware. Let’s recap. On Aug. 7, Alexis called police claiming that, after an altercation at a Virginia airport, he was stalked by three people and heard voices through the walls ceiling and floor and that he felt the individuals were pulsing him with a microwave weapon, which kept him from sleep. By Aug. 23, he was in the VA complaining of insomnia without mentioning the stalking incidents. (Would you?) He was prescribed sleeping pills, but just give days later he was back at the VA emergency room asking for more pills, and he was then prescribed an antidepressant. Weeks go by, and suddenly on Sept. 16, Alexis is the suspected mass shooter of 12 people at one of the most secure locations in the country. He is killed by police, and can never tell his side of the story. The fact that Alexis carved “Better off this way” into his weapon is chill-inducing to say the least. The video below reveals a sonic billboard for a ghost hunting TV show called Paranormal State. The billboard sits atop a six-story building and when passersby walk beneath, they hear a female hastily whispering, “What’s that? Who’s there? It’s not your imagination” directly into their ears. This technology gives you a taste of what hearing voices via directed energy weapons would be like, but it is not nearly as advanced as the type patented to be beamed directly into someone’s head and heard by no one else but the intended target. Can you imagine having voices talk to you, directly inside your head, for weeks on end? What if you went to authorities only to find they thought you were insane? What if those voices wouldn’t stop? What if they commanded you to do something you didn’t want to, something unspeakable, over and over and over, even invading your sleep without reprieve? What if they finally promised you rest, finally promised you that you would be “Better off this way” if you just did what they asked?